One must be properly train to be a chi kung teacher. The above chi kung exercise, for example, is very powerful; untrained teachers may bring harm rather than benefit teaching it. I’ve gained a lot of benefits from the chi kung class. Can I teach my friends to help them? No, you should not. You may be able to practice chi kung, but you are unable to teach it effectively. As an analogy, having undergone a surgical operation does not qualify you to be a surgeon. You may cause harm to them instead of bringing benefits if you try to teach them chi kung techniques as chi kung. It is because you are not trained to teach chi kung. If you teach chi kung techniques as gentle physical exercise, which you are likely to do, you will give your friends a wrong concept of chi kung. They will think that they practice chi kung when they actually practice gentle physical exercise. They will not get any chi kung benefits, like good health, vitality and longevity. This in fact has happened to more than 80% of chi kung practitioners all over the world. As many people may not understand the explanation here, it is helpful to elaborate. 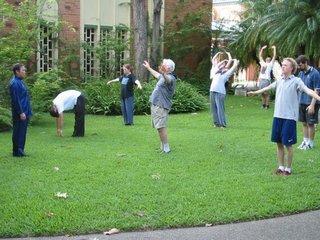 More than 80% of chi kung practitioners practice chi kung techniques as gentle physical exercise, and not as chi kung which is energy exercise. Hence, they get benefits of gentle physical exercise like loosening joints and muscles, and not chi kung benefits like overcoming pain and illness, and getting good health, vitality and longevity. Most of these practitioners do not realize this fact. Why are they ignorant of the fact? It is because the forms are the same in gentle physical exercise and chi kung. They use genuine chi kung techniques, but lack the skills to practice them as energy exercise. They only practice the forms as gentle physical exercise. The same situation happens in Taijiquan. 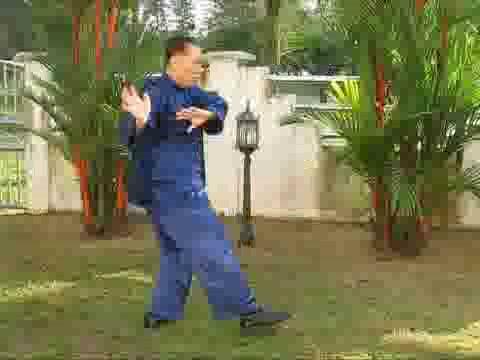 More than 90% of Taiji practitioners practice genuine Taijiquan techniques as external dancelike movements, and not as an internal martial art. They have no internal force, and cannot defend themselves. The same situation happens in other martial arts. More than 90% of martial artists today practice their art for demonstration or as a generous exchange of blows, but not as an art of sefl-defence. They lack the necessary skills to use their marital art techniques to defend themselves. In free sparring they even take being hit and kicked for granted!. I had just finished performing the Cosmic Consciousness exercise when a horrible feeling came over me suddenly, and then my heart felt like it contracted and became cold, and then my entire body became so cold as if i had been put into a freezer. I tried thinking of my dan tien to reduce the shock. Though not asleep, at one point, I saw an image of a woman’s skeleton with only some flesh left on it and no head being dragged across the room on some sort of trapeze-like device — she was flung over it. I was intensely alarmed! This image came out of nowhere, and did not help my state of mind. Eventually my body warmed back up and after some time I fell asleep. Congratulations. Your experience was a deep cleansing of your bad karma. Some gentle chi flow will help to ease you of the terror and get you back to normal pleasant living. This deep cleansing was due to your practicing too deeply. Expanding into the Cosmos, which you called Cosmic Consciousness exercise, is very advanced and to be practiced by those at an advanced or master’s level. It is alright if you practice it once a while, like once a month, but certainly you should not practice it too often until you have become advanced. Even for those at an advanced level, they need not practice it often, though they would not have severe cleansing symptoms if they practice often. For us, i.e. 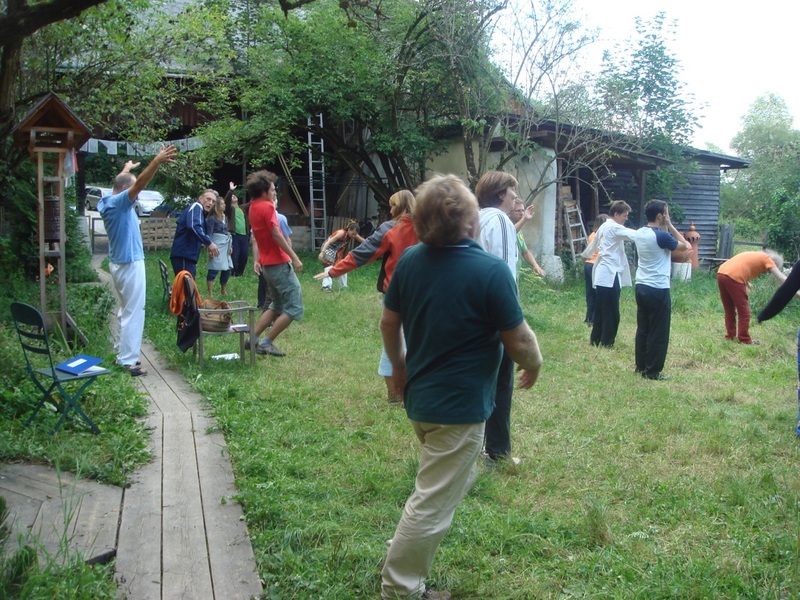 the great majority of people who live in the phenomenal world, the most useful exercises are those taught on the first day of my Intensive Chi Kung Course, which are meant to overcome illness for those who are sick, and to give good health, vitality and longevity when they are already healthy. Even for our advanced practitioners, it is not easy to realize how powerful our advanced exercises are. Can I learn to become a best fighter in your school? You have come to a wrong school to learn to be a best fighter. Although we are combat efficient, and many of our students are international free sparring champions, fighting is low in our priority. High in our priority in our aspirations for our training is to have good health, vitality, longevity, mental clarity, peak performance and spiritual joys irrespective of religion. Nevertheless, not to make a mockery of ourselves in training a martial art, we pride ourselves to employ our arts in combat. 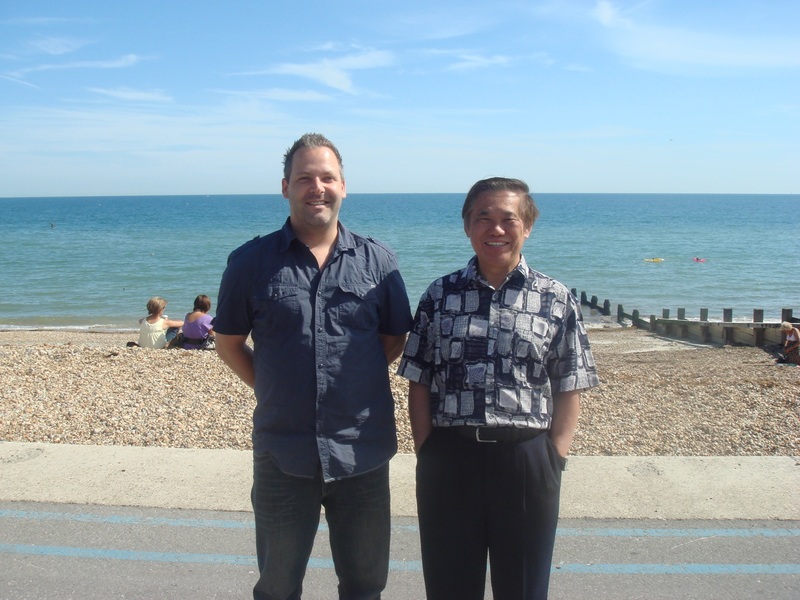 We also have helped many people overcome pain and illness, including so-called incurable diseases. We take this as a stepping-stone. In other words, overcoming pain and illness is not a fundamental aim for us to practice chi kung and kungfu. A fundamental aim is to have good health. Having good health means we are free from being sick or in pain. It is legitimate to ask that if we do not take fighting as a top priority in our training, why do we train combat efficiency. It is mainly because our combat training enriches our daily life without us having really to fight. Practicing chi kung also enriches our daily life, but practicing a martial art makes it more immediate. For example, attaining good health is the climax of many schools of chi kung, but it is only a starting point of a martial art. In other words, chi kung practitioners would consider their practice successfully completed when they have attained good health. But martial artists would consider having good health the start of their training. As another example, chi kung practitioners generally have more time in making wise decisions. But for martial artists, like when a punch or a kick is coming from an opponent, they have to make fast and wise decisions on the spot. I was lying in bed and suddenly “it/he” was there again, for the third time now. But this time it was much more powerful. In my ear I started to have something that I would call a tinnitus. Although the sound was very brief and not loud, it had this powerful vibes. I did recognize it immediately again and then I could literally feel how it was lying next to me, right at my back. I felt like paralyzed and got a shock and wanted to scream but was not able to. I did not know what was happening and without thinking I simply started to recite Guan Yin Boddhisvattva’s name over and over again. I then got calm and fell asleep. This happened to me twice before. But when it happened earlier, I never felt this tinnitus and it/he would be on the other side of the bed, like there would be a distance between us. And I remember it always felt powerful and somehow also “frightening”, but I had never really big fear or a shock and was rather easily able to go back to sleep. But this time it stays with me. I have no idea what this thing/being is. I can only humbly say that I really think it is for real and not any imagination in my head. How do I know if I have to protect myself and how could I do it? If I don’t consider the moment when it happens, I don’t really feel like I am in danger but I feel a lot of respect and uncertainty as I do not know what this is. Your chi flow is powerful — not powerful when compared to your sifu’s but powerful compared to most other people. Other beings would be repelled by your powerful chi; it is like electricity to them. If you are frightened, it is because of your own emotions. You can chant the Guan Yin mantra, which is very powerful. Not only the mantra will repel the being, it will also sooth you. You can apply One-Finger Zen onto the being. This is a drastic step and may hurt the being, so don’t use it unless necessary, and usually it is not necessary. Even if you had to use it, warn the being first. If the being did not heed the warning, point your One-Finger Zen at the being with your index finger pointing upward, not pointing at the being. The being would flee away. If it still didn’t, then point your index finger at it and visualize powerful chi shooting from your One-Finger Zen at the being. I once used the One-Finger Shooting Zen on a monster, which was much more powerful than a ghost or natural spirit and which was disturbing a student. It fled away immediately. I remember when I had the opportunity to take courses for the first time with you, I later saw a ghost (according to my Sifu after hearing my descriptions) here in my apartment. The ghost was wandering around somehow and was here for quite some time. Only later I asked him to leave and did send him blessings according to the instructions I gladly received as it started to disturb me. But he never ever felt so strong as this being now. This being now feels to be much stronger than me. This being was likely to be an asura, or a titan. A titan is much more powerful than a ghost. Asuras are as powerful as dewas, or gods, but they did not become gods because of their negative emotions. The principal emotion of male asuras is anger, whereas that of female asuras, who are very beautiful, is jealousy. On the other hand, the principal emotion of gods is joy. Ghosts are less powerful and of a lower spiritual level than humans. Many humans are afraid of ghosts because of ignorance and uncertainty. The fear is due to their own emotions. Ghosts actually shun humans but if a ghost was severely wronged, it might risk its own comfort to seek revenge from the responsible humans. Our attitude towards ghosts should not be fear, but pity. Ghosts are pitiful. They are usually hungry and often lost. If you see one, like when it could not leave you in time, send it blessings and let it leave. I don’t know if it was a coincidence, but I did indeed cancel in a very short notice, on my day of departure, a trip over New Year’s Eve and stayed for almost two weeks unexpectedly at home. I experienced two weeks of very deep rest and peace and beautiful moments with uplifting thoughts. Maybe this is a coincidence. If not, maybe this being is even visiting me for some good and I should feel gratitude? But why would it then have this powerful, frightening touch? Sigung, how can I know about the intention of this being? Ask the being itself. You should do so only when you feel confident facing the being. Don’t do so if you feel afraid.Don’t promise the being anything, even if its requests are reasonable and within your means. Say that you may try to help but tell it that you can’t promise anything. If its requests are unreasonable, tell the being firmly but calmly that they are unreasonable. If the requests are beyond your means, tell it that they are beyond your means and it has to find help elsewhere. You may ask Guan Yin Bodhisattva for the answer and guidance. Go into a chi kung state of mind, pay homage to Guan Yin Bodhisattva, then ask your question and request for guidance. Conclude by thanking the Bodhisattva. You may ask the Cosmos. Go into a chi kung state of mind. Ask your question and seek for guidance. Conclude by thanking the Cosmos. Why do we see these beings? These beings as well as higher spiritual beings are around us all the time, but most of us cannot see them, nor they see us because our energy and theirs vibrate at different frequencies. It is just like we do not see waves of energy that carry information across the world until these waves manifest on our computers. Years ago when I was a student under my sifu, Sifu Ho Fatt Nam, he told me an invaluable lesson. He said in Chinese (Cantonese), “Khui tau sam chet yow shen meng”, which means “When you raise your head to look up three feet, there are gods.” He mentioned this when he was explaining a moral value to me that we must be righteous and have a clear conscious all the time. When we practice chi kung, we open some psychic points that are normally close to most other people. This enables us to see such beings. I would like to take up my Kung Fu training again. I do love my own Chi Kung training but I do indeed also miss my Kung Fu and the possibility to train with other people. Kung Fu has always been a big challenge for me, but I also feel it’s a big opportunity for me and many good things that happened during the last years are due to my training I feel. Sigung, am I allowed to take a Kung Fu class with a Sisook if he would accept me? I hope that the question is not disrespectful. Taking classes with my Sisook wouldn’t change my gratitude and respect I feel towards my Sifu whom I indeed honor for everything that he has done for me and for the way he spreads the Shaolin Arts. It is good that you have decided to resume your kungfu training. The Shaolin Kungfu practiced in our school is so wonderful. Not only it will give you a lot of benefits, it will also enhance your femininity. Indeed, it is a golden opportunity for women to practice our Shaolin Kungfu, though most of them do not realize it, and some are too lazy to do so. Most other kinds of kungfu or any martial art practiced elsewhere make women rough. It is best if you learn from your sifu. He is an excellent teacher and has the interest of his students at heart. But if this is not feasible, you can learn from your sisook. This entry was posted in aims and objectives, Chi Kung, chi kung state of mind, cleansing, Grandmaster Wong Kiew Kit, Kung Fu, question-answer, Shaolin, Shaolin Wahnam, spirits, spiritual cultivation and tagged aims and objectives, chi kung, cleansing, Grandmaster Wong Kiew Kit, Kung Fu, QUESTIONANSWERS, Shaolin, Shaolin Wahnam, spirits, spiritual cultivation, spirituality on January 12, 2016 by Wei Joo Lee. Sifu told me that the best complementary force training for the Drunken Eight Immortals was Wuzuquan, after that Tai Chi Chuan and then One Finger Shooting Zen. I was reading about Grandmaster Yang Lu Chan and I read he attained high levels by “stealing” Tai Chi Chuan and practising by himself. As I had some experience of Tai Chi Chuan in chi flow, I wanted to emulate Yang Lu Chan and become good at the style and complement my Drunken Eight Immortals with it. I decided to learn Flowing Water Floating Clouds from the videos. I have been training Tai Chi Chuan now for about a month. The results are (for my level) quite amazing. Yang Lu Chan could attain very high levels in Tai Chi Chuan even when he “stole” it and trained on his own without the personal supervision of a master because he was already well trained in Shaolin Kungfu. And Shaolin Kungfu was the best preparation to learn or “steal” any other arts because all other arts were also found in Shaolin Kungfu. Had Yang Lu Chan been trained in other arts, like Eagle Claw or Fujian White Crane, his attainment could be different. Not many people know these two facts — that Yang Lu Chan was already well trained in Shaolin Kungfu before he worked as a servant in Chen Zhang Qing’s family, and that Shaolin Kungfu prepared well for him, or any person, to learn any other art. Many people thought that Yang Lu Chan started straight away with Tai Chi Chuan. Many people did not know that all that was found in Tai Chi Chuan was already found in Shaolin Kungfu. You have the same two advantages Yang Lu Chan had. In fact you have an extra advantage. 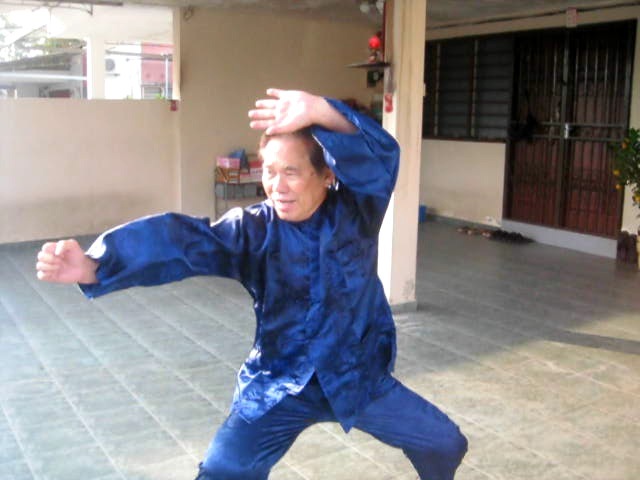 You can ask your seniors or me whenever you have any problems concerning your Tai Chi Chuan training. Yang Lu Chan had no one to ask. No one knew about him secretly practicing Tai Chi Chuan, and to a very high leve, until he defeated a challenger who came to challenge his master. So, you should do well in your Tai Chi Chuan. I guide myself through Tai Chi Chuan practise. This time it is not with the usual Chinese dialect, it’s a form of Japanese. It is a strong deep voice, not at all what one would expect from a soft Tai Chi Chuan master, but a deep fierce voice is guiding my forms and speaking through me. This is either my own sub-consciousness or a master comes teach and merge with myself. Or I am tapping into the cosmos. 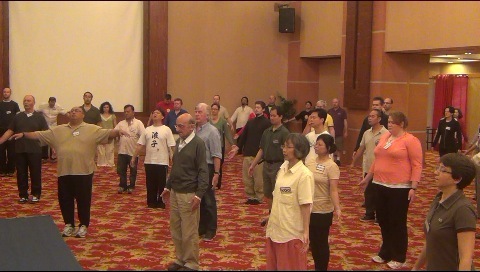 Tai Chi dancers are soft, but genuine Tai Chi Chuan masters are not soft, though they can be gentle. But what is important is that you must be in control of yourself, not directed by a spirit, even when it is divine and has good intentions. This is very important. It may not be a spirit but you own sub-consciousness. But for this purpose of regaining conscious control for yourself, you need not worry or intellectualize whether it is a spirit or your sub-consciousness, or something else. So, in the following description, I shall refer to a spirit. You follow the same procedure if it is actually your sub-consciousness or something else. You should do the following for some time until you regain control. Suppose the spirit asks you to move forward with a powerful strike. Even if this is what you yourself intend to do, don’t do it. Gently thank the spirit but do something else, like moving to your left, without breaking the momentum of your chi flow, and execute a kick instead. Repeat the procedure for some time until you are fully confident that you have complete conscious control of your own movements and intentions. I experienced this a lot of times before as I mentioned in previous emails, but this time I really become one with it. I believe I’m growing up in our arts and at my level now I can let it happen at will, going deep and just going with the flow guiding myself in our arts. Becoming one with the Cosmos is growing in our arts. When you become one with the Cosmos, you are becoming yourself at the most supreme level where there is no differentiation at all. Becoming one with another spirit is not growing in our arts. It is a serious deviation. I may or may not be right in my presumption that you may become one with another spirit. But either way, i.e. irrespective of whether the force directing you is another spirit or is your own sub-consciousness, following my advice is for your benefit. If it is a spirit, even a good one, you should not be directed by it and become its slave. You may listen to its advice if it is good, but you have a free choice to accept the advice or reject it. If it is your sub-consciousness, you also should not be blindly directed by it. You should have your conscious control, based on wisdom and courage. It is a big mistake if you think that you would lose a great opportunity if you do not follow a powerful spirit. Even without any guidance from any spirit, you can be very powerful by just practicing our arts. In fact, you already have become powerful. Compare, for example, what you are now with what you were when you first attended a UK Summer Camp. You were such a weakling then that when you were chosen for demonstration, Robin was genuinely concerned that I could pull off your arm. Why do we train internal force or gain benefits from our practice? It is not for their own sake but to enrich our lives and the lives of other people. We must not forget this, otherwise we may become a slave to our arts instead of becoming masters. I’ve learned the Cloud Hands set in chi flow: I perform palm strike sequences, and snake hands, with cloud hands in between. Sometimes I spread a strong flowing force to my palms or finger tips. I also do fa-jing. Tai Chi Chuan has a lot of snake influence. Cloud Hands seems to be my own internal flow, merging with energy from around me. I just want to check up with Sifu if what I’m doing is correct. What you are doing is excellent. Even some world-known Tai Chi masters may not be able to do what you have done. Many of them cannot perform Cloud Hands in chi flow, cannot spread a strong flowing force to their palms or fingers, and cannot merge themselves with the energy around them. All these are indications of high-level Tai Chi Chuan. Indeed, many Tai Chi masters today have no internal force and do not know any Tai Chi Chuan combat application. These attainments should not make us proud, or belittle others, but they indicate that you have been training very well. I wish to have strong stances in my chi flow. Sometimes, when it becomes too light, I refuse to let go into chi flow. I think I need to be grounded more, and have a solid foundation in my stance. You should aim at yin-yang harmony. Not only you are solid, you are also agile. When you, your stances or your chi flow have become light, instead of holding yourself up, you should let go and enjoy the agility generated. Editorial Note: Tim’s questions will be continued at July 2015 Part 3 issue of the Question-Answer Series. I learned the art from two of your direct students, Sifus Chris and Christina Didyk this year. I had purchased your book, “Chi Kung for Health and Vitality”, and found it to be a marvelous resource and well-written piece of literature. Chris and Christina are very good teachers. If you learn from them, you are in good hands. If you learn from Chris, you will address me as Sitaigung. If you learn from Christina, you will address me as Sigung. In our school we carefully follow the tradition of correct address. Although those who are unfamiliar with chi kung culture and the importance of mind set in advance chi kung training may think we are fastidious, this is actually for the benefit of the students. You may experience the truth yourself later on as you progress in your training. Thank you for your kind words about my book, “Chi Kung for Health and Vitality”. If you find any difference in training methods, follow the instructions given by your teachers, and not the book. Your teacher observe your personally and give instructions according to your progress. My book is written for those who do not have the advantage of learning personally from a competent teacher. Generally you will find the instructions from your teachers are simpler, yet produce better results. Sifu Christina taught me Lifting the Sky and demonstrated Pushing Mountains for me, but she also mentioned that if I have any desire to learn any of the other exercises from your book I should not be afraid to practice them. I am currently performing Chi Kung to rid myself of general disease but also to remove my Crohn’s disease from my body. It is an illness that affects the colon area via an autoimmune response. I read that performing Lifting the Sky, Pushing Mountain, and Carrying the Moon in sequence helps stimulate good chi flow to rid the body of illness, but I was wondering if you had any other advice as to what exercise or exercises would be better for targeting that particular area of the body. If all other things were equal, performing Lifting the Sky, Pushing Mountain, and Carrying the Moon in this sequence produces the best chi flow to rid the body of any disease in general. If all other things were equal, if a person has a disease at his colon, Plucking Stars will be the best exercise. Another excellent exercise is Merry-Go-Round. But in real life other things are not equal. Suppose we have two persons, A and B, suffering from the same disease affecting their colon. A is relaxed and performs Lifting the Sky. B is tensed and performs Plucking Stars. A will have better result than B even when B has chosen a better exercise. You have advantages many other people do not have. You learn personally from two excellent chi kung teachers. If they ask you to perform exercises other than Plucking Stars and Merry-Go-Round, it is because of some relevant reasons which you may not know. My next question is more of a philosophical/scientific one. I understand that Shaolin Wanham Chi Kung in general provides the body with more energy by drawing it in from the cosmos or other outside sources. So performing chi kung is a way to feel less tired throughout the day if you perform it at the start of the day. Sleep also does the same thing, and I can see many parallels between sleep and chi kung. Both relax the body to a great degree. Both activate certain areas of the brain that are not normally active. Both energize the body to their own degree, and both are responsible for the growth and healing of the physical body. Now modern science has not been able to find any conclusive evidence as to why the physical body needs sleep other than we just need to sleep. Is it possible that sleep is a natural (although inferior) form of chi kung that we are inherently born with? In other words, do our bodies naturally know how to perform chi kung even without us being conscious of the fact or am I way off in my thoughts and reasoning? Not only your intellectualizing does not bring you any benefit, it actually brings you harm. For example, even if you know the answer, and presume that your answer is correct, it will not overcome your Crohn’s disease. It makes your stressful. It saps your energy. It affects your chi kung training, and may turn your chi kung into gentle physical exercise without your awareness and without your understanding it s meaning. Nevertheless, I shall still answer your questions, directly asked as well as implied. Yes, sleep and chi kung are the same. Both relax the body, activate some parts of the brain that are not normally active, energize the body, and are responsible for growth and healing. Or I can also answer that no, sleep and chi kung are not the same. You need only 10 minutes to relax your body when performing chi kung, but you may toss about in bed for hours before you can sleep. Chi kung can heal you of any disease, but sleep doesn’t. Yes, modern science has not found any conclusive evidence why a person needs sleep. I can also answer that no, modern science has found conclusive evidence why a person needs sleep. He needs sleep to remain sain. If he goes without sleep for days he may go crazy. Yes, sleep is a natural, though inferior, form of chi kung. I can also answer no, sleep is not a natural form of chi kung, even inferior. Chi kung gives you mental clarity, but sleep may make you dull. Yes, our body naturally knows how to perform chi kung, with or without our awareness. Our chi flow is natural. Naturally we repair wear and tear in our body. These are important tasks chi kung does. You are spot on in your thoughts and reasoning. I can also answer that no, our body does not know how to perform chi kung naturally. That is why genuine chi kung teachers are very rare and valuable. More than 80% of people who say that they practice chi kung, actually perform gentle physical exercise, and most of them do not even know it. If our body can naturally perform chi kung, this ridiculous situation would not have happened. So your thoughts and reasoning are way off. Hopefully by now you would have realized that your intellectualization is futile. This entry was posted in Chi Kung, Crohn's disease, Grandmaster Wong Kiew Kit, Kung Fu, question-answer, Shaolin, Shaolin Wahnam, spirits, tai chi chuan, taijiquan and tagged chi kung, Crohn's disease, Grandmaster Wong Kiew Kit, Kung Fu, QUESTIONANSWERS, Shaolin, Shaolin Wahnam, spirits, tai chi chuan, taijiquan on July 11, 2015 by Wei Joo Lee.